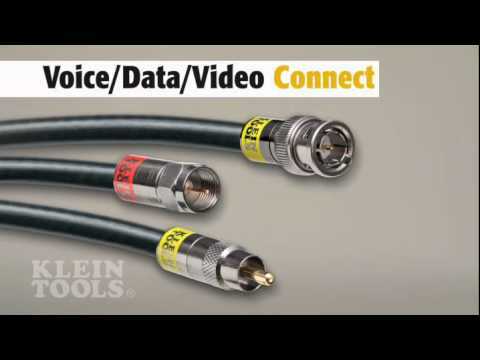 The innovative design of the Klein VDV812-627 Push-On Connector-F allows the cable and connection to reliably turn inside the connector shell, reducing cable strain when packing in a wall box or behind equipment. No tools are necessary for installation. A color-coded application band allows for easy identification of cable compatibility.